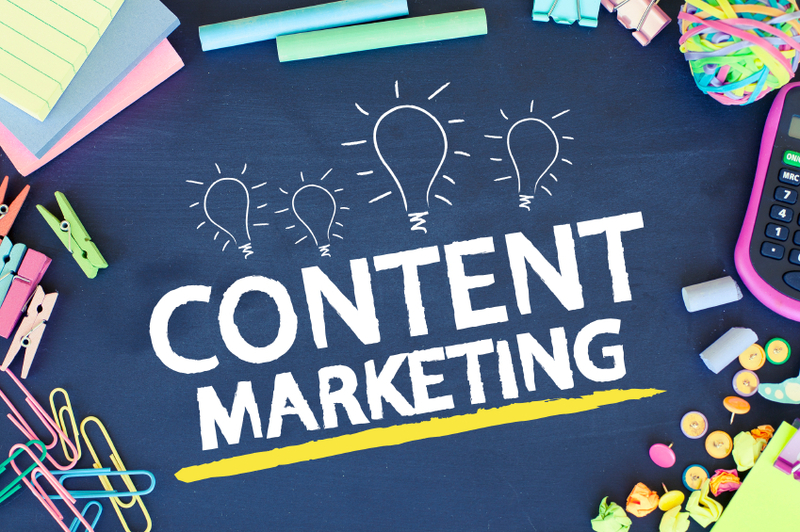 Content marketing is always undergoing shifts, but in 2016, it has become more important than ever for businesses to alter their content marketing strategy. Traditional online marketing methods that were effective five years ago now no longer generate results. When it comes to content marketing, 2016 trends are shifting away from traditional search engine optimization (SEO) and towards more organic content. Due to changes in consumer patterns and Google’s algorithms, the best marketing approaches are ones that are subtler and add value to Internet users’ lives. If your content marketing is failing to give you the results you want, there are a number of possible explanations. Many businesses make these mistakes with their online strategy. Before, simply using the right keywords was enough to get your content in front of Internet user’s eyes. Those days are over. People are looking for content that adds value to their lives, either through entertainment or information. Poorly written content, obvious advertising, and content that contains no value is quickly dismissed by consumers. It’s also penalized in Google’s search engine rankings. Having one web site isn’t enough anymore. Social media makes up a large part of Internet usage, and businesses need to be using these social media networks. More than ever before, a diverse content marketing strategy is needed to reach consumers. That means a combination of webpages, social media networks, videos, blogs, and other types of content. If you don’t know what your return on investment (ROI) is, then you cannot evaluate the success of your content marketing strategy. For instance, your approach could be generating a lot of web traffic, but if you aren’t aware of your conversions and other metrics, you won’t know whether it’s paying off. While ROI can be hard to determine, it is essential to do so. If you want to measure the success of your web strategy, then you need defined outcomes and goals. Without a defined outcome, your marketing strategy will suffer. For instance, brand awareness and customer conversion are two goals that can require very different marketing approaches. Businesses should be constantly evaluating, tweaking, and assessing their content marketing. Look at what content promotes more user engagement and what content is ignored. As with any business strategy, you need to be able to target and modify your approach. In 2016, it is important to change your content marketing strategy to address the new realities of online marketing. Otherwise, you will fail to increase search engine rankings, attract new customers, or grow your business through your online marketing. Create content that is diversified and addresses all consumers, from people unaware of your brand to returning customers. Your business should use content for every stage of the sales process. Watching videos is one of the main activities that is now done on the Internet. Use videos, as well as graphics and pictures, to market towards consumers, particularly Millennials and younger demographics. Visual content is important for social media pages. All of the content you use should add value to the reader’s life. Avoid content that is obvious marketing and doesn’t contain any real value. Obvious marketing ploys will be instantly dismissed and ignored. With more competition on the Internet than before, it’s important that your content is both easy to find and share. If users have to dig to find your content, they won’t. Increase your search engine rankings, use fan pages on multiple social media sites, and focus on blogs, articles, and graphics which can be shared throughout the web. Online marketing is more competitive than ever and needs to be executed properly. Just like you would with a traditional advertising campaign, you should use content marketing experts for your online advertising. They can create targeted, specialized content that will help grow your business and increase your brand presence. Numero Uno Web Solutions is a provider of search engine optimization (SEO) solutions to startup and small companies from all industries and fields. We stay on the pulse of industry changes and adapt our practices to produce quality SEO and content marketing plans to fuel the growth of businesses across communities. Our precise, studied methods and contact form optimization services have benefited Toronto businesses along with industries across Richmond Hill, Vaughan, and more. Our success has even allowed us to extend our reach and offer SEO services to Texas, Massachusetts, and Florida. Learn more about content marketing techniques and how we can help improve your search profile or call us at 1-855-SEO-XPRT.